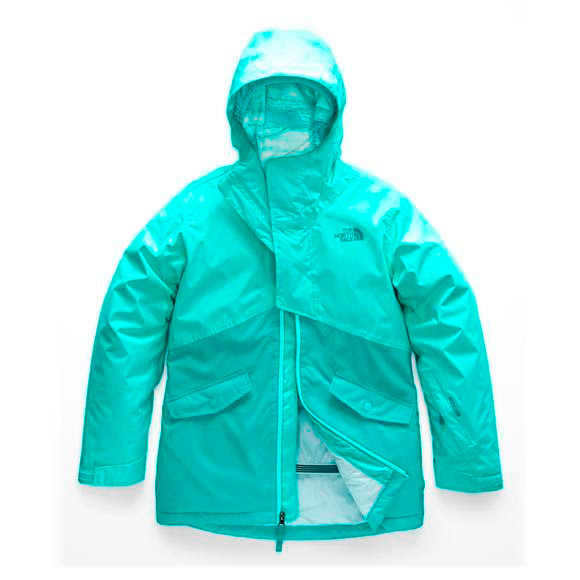 For all-day insulated protection from cold, wintry elements, girls can hit the slopes in this durable, waterproof snowsports North Face jacket. A fixed hood adds protection when the clouds roll in, and a powder skirt ensures she'll stay dry when it gets deep. For all-day insulated protection from cold, wintry elements, girls can hit the slopes in this durable, waterproof snowsports North Face jacket. A fixed hood adds protection when the clouds roll in, and a powder skirt ensures she&apos;ll stay dry when it gets deep.